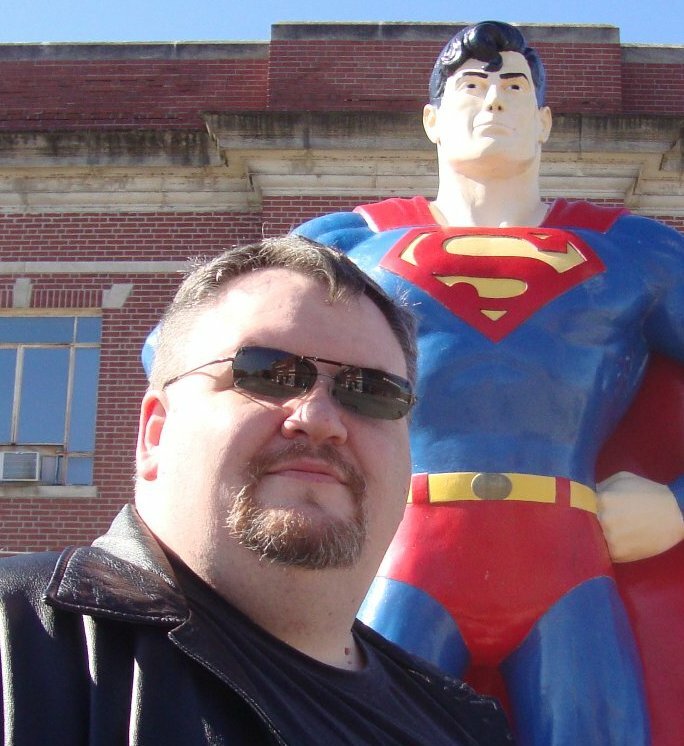 New Pulp Author Bobby Nash was recently interviewed by Jessica Lay for her Jess Resides Here blog. They discuss everything from Bobby’s latest work, the art of making covers, and what types of books he likes to read. 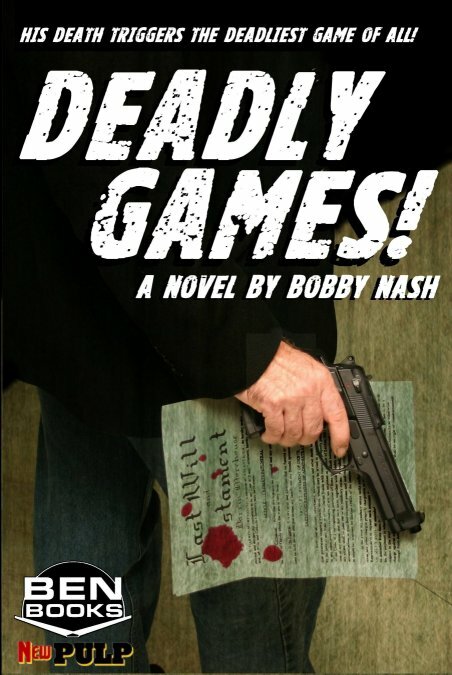 Author Bobby Nash joins Art Sippo and Ric Croxton in the latest episode of The Book Cave podcast to talk his latest novel, Deadly Games. This episode we are trying something new. At the end of the interview we will do a spoiler alert so that everyone who has not read the book will know that everything from then on will be spoilers. If you have read the book and have questions about certain parts, like Ric did, you will now have the answers. 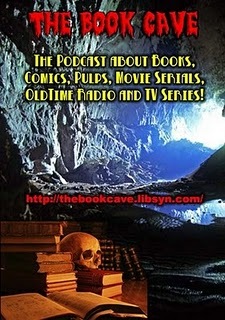 If you have not read the book, please stop the podcast when we give out the spoiler alert. This is a book that you will want to reread after hearing the spoiler section. 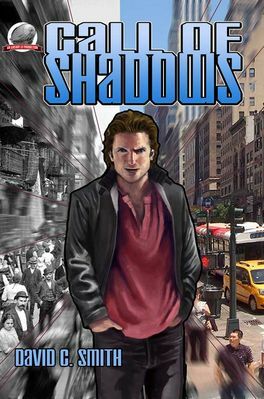 Airship 27 Productions is proud to release its fifth book of the year; CALL OF SHADOWS, by well known fantasy adventure writer David C. Smith. Although known for its novel and anthologies starring classic and new pulp heroes from the 30s, Airship 27 Productions has occasionally ventured beyond that era umbrella. Restaurant owner Steve Beaudine is killed in a car accident and his beautiful wife, Ava is severely injured. After months of physical recuperation, she returns to AVA’S with the desire to keep the business going. But Tony Jasco, her husband’s partner, has plans to sell the eatery and split the profits. Ava adamantly refuses to terminate what had been Steve’s dream. She is determined to make it work no matter Jasco’s opposition. Then the mysterious David Ehlert enters her life with a fantastic story, one straight out of a fairy tale. He claims to be a wizard and that Jasco is trying to have her killed to gain his own ends. Ava simply can’t believe such a fanciful claim…until they are attacked by magical dark forces. Suddenly she finds herself the target of a twisted, dark magician and her only salvation is Ehlert, a man claiming to have been born in 1886 but still looking young and fit. Writer David C. Smith spins a colorful, fast paced thriller that introduces a fascinating new hero in the vein of the classic golden age pulps but with a decidedly modern day twist. It is the story of a haunted man out of time seeking redemption for past sins in a world of arcane mysteries and magiks. CALL TO SHADOWS is a masterful thriller by a veteran writer that will keep you on the edge of your chair from start to finish. The book features a cover painted by Bryan Fowler and designed by Art Director Rob Davis with nine interior illustrations by artist Mark Saxton. Look for it at Amazon, Airship 27 Productions’ website and soon from www.IndyPlanet.com. And soon at the POD store, Indy Planet. 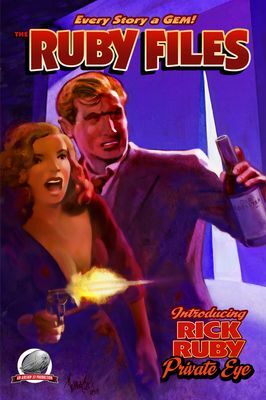 In March, Airship 27 launched its 45th title (the 4th of 2012) about a 1930’s pulp detective named Rick Ruby. 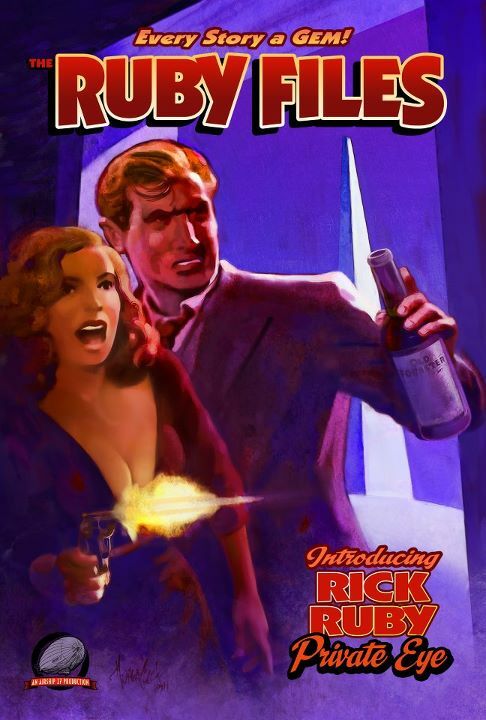 All Pulp sat down with co-creators/writers Bobby Nash and Sean Taylor, writers Andrew Salmon and William Patrick Maynard, and editor/publisher Ron Fortier to delve into The Ruby Files. THE RUBY FILES is now available. 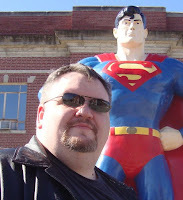 Please visit the official site for The Ruby Files at http://rickruby.blogspot.com/. This is a book that harkens back to the classic black and white Warner Brothers gangster movies that featured James Cagney, Humphrey Bogart and Edward G. Robinson to name a few. The atmosphere is gritty with a no-nonsense hero pulp fans are going to applaud from the first story to the last. And when that last tale comes to a close, you can bet we haven’t seen the last of Rick Ruby, Private. New Pulp Author Joshua Reynolds interviews New Pulp Author Bobby Nash for the Shaking The Six Demon Bag interview series on his Hunting Monsters blog. 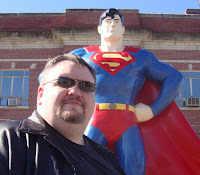 Visit http://joshuamreynolds.blogspot.com/2012/03/shaking-six-demon-bag-six-extremely_09.html to read Six Extremely General Questions With Bobby Nash. 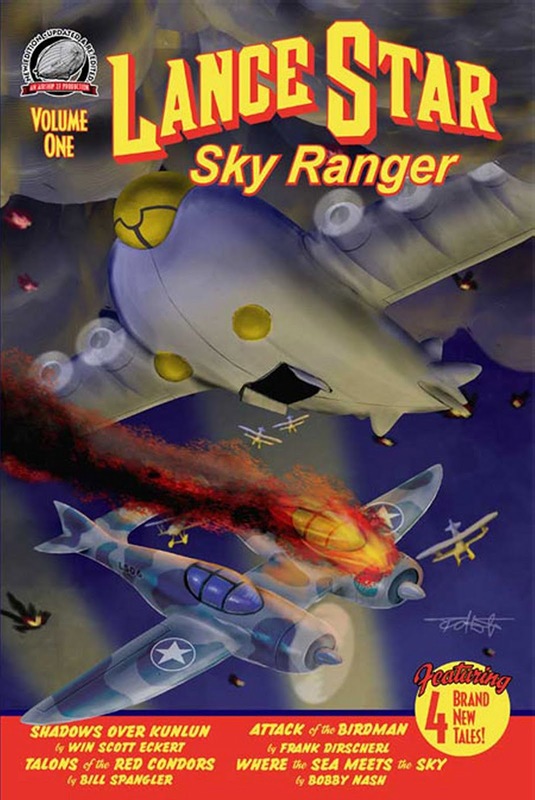 The Lance Star: Sky Ranger Pulp Anthology Volume 4 flies into production. Check out the cover sketch by artist Felipe Echevarria at http://www.lance-star.com/. The cover image depicts a scene from my story for this volume, "Ring of Fire." I'm excited to see the final painted version. Please check it out at www.lance-star.com and let us know what you think. 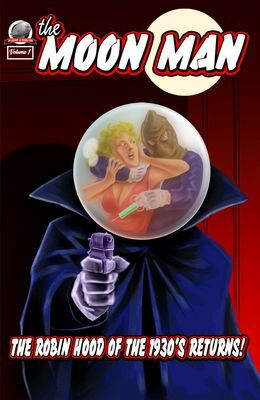 Airship 27 Productions is very excited to announce the release of its latest pulp anthology featuring a classic hero from the past; the Moon Man. Detective Sgt. Stephen Thatcher is the son of Police Chief Peter Thatcher. Sickened by the effects of the Great Depression on Great City, the young lawman cannot reconcile the rich society elite living the good life while across town the poor of Great City go hungry. Unable to correct this injustice through the system he represents, Thatcher assumes the role of the vigilante thief the Moon Man by disguising himself behind a one-way Argus glass globe. In this get up he then proceed to rob the rich and give to the needy via his loyal aide, former boxer Ned “Angel” Dargan. He is also aided by the lovely Sue McEwen, the daughter of the man sworn to capture him, his own boss, Lt. Detective Gil McEwen. Now he returns to the streets of Great City in five new thrilling adventures written by writers Ken Janssens, Gary Lovisi, Erwin K.Roberts and Andrew Salmon. Pulpdom’s most bizarre hero is back on the case with a cover by Rob Davis & Rich Woodall and twelve interior illustrations by Ralph Van Der Hoeven.